The fabulous sequel to Bright Young Things. Scandal, intrigue, and romance follow three beautiful young women, Letty, Cordelia and Astrid, as they each try to find love and fortune in glamorous Jazz Age New York. 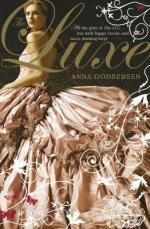 Anna Godbersen is the bestselling author of The Luxe novels. She was born in California, the daughter of a cab driver and a painter. She writes for various New York magazines and is hard at work at the tantalising next book in the Bright Young Things quartet.